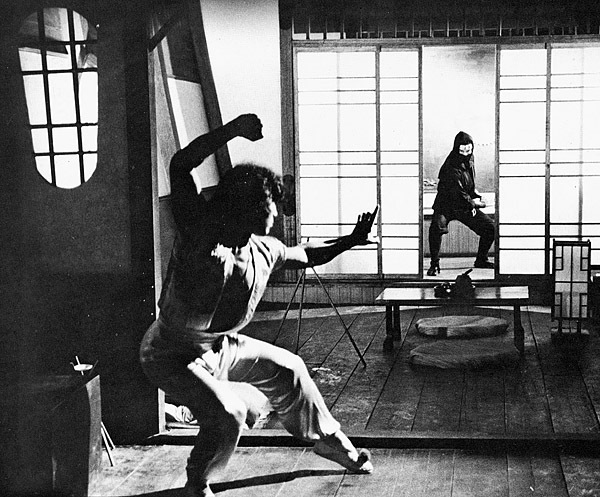 Ninja in the Dragon’s Den is that rare Chinese/HK movie that actually gives props to Japanese martial arts. 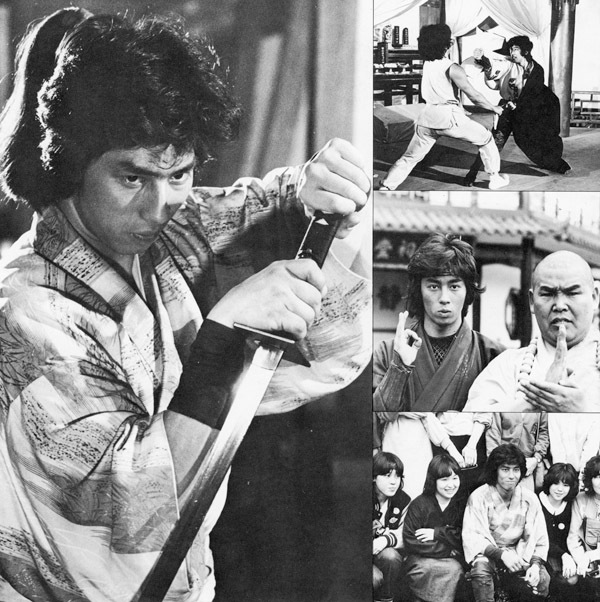 Henry Sanada‘s shinobi is every bit the equal of Conan Lee‘s kung-fu hero, and when the misunderstandings that led to their antagonism are cleared up, they become an unbeatable duo. 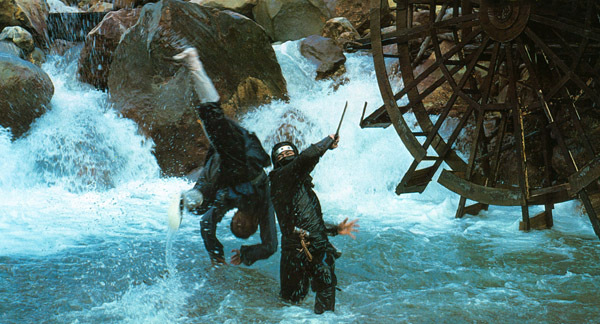 This water wheel scene is one of several signature duels in this fight-bloated flick. 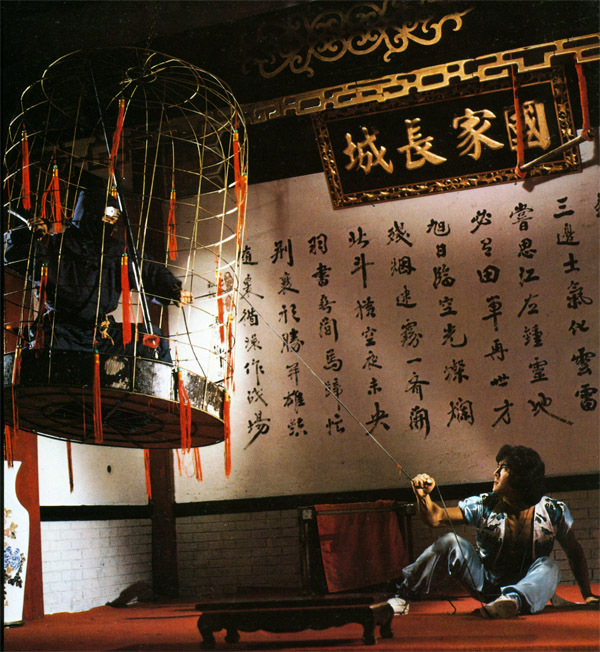 The heart of the film takes place in said “Dragon’s Den” – a tricked out tower of ninja death, chock full of anti-shinobi booby traps and hidden gimmicks. 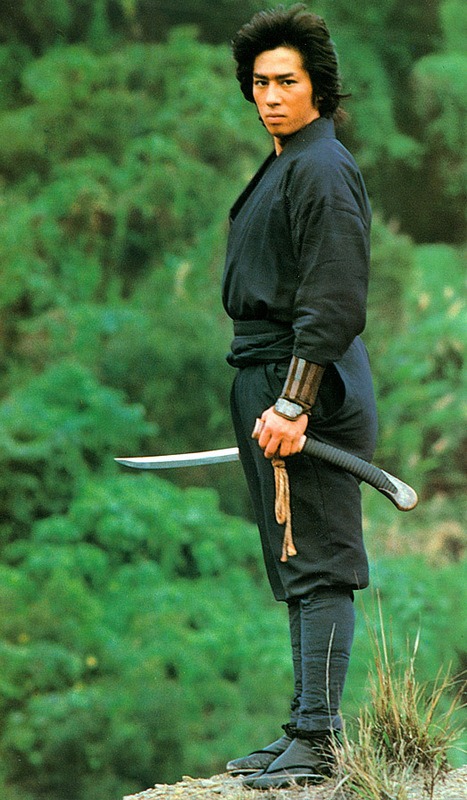 The twin short swords were Sanada's specialty in the 80's ninja flicks he did. 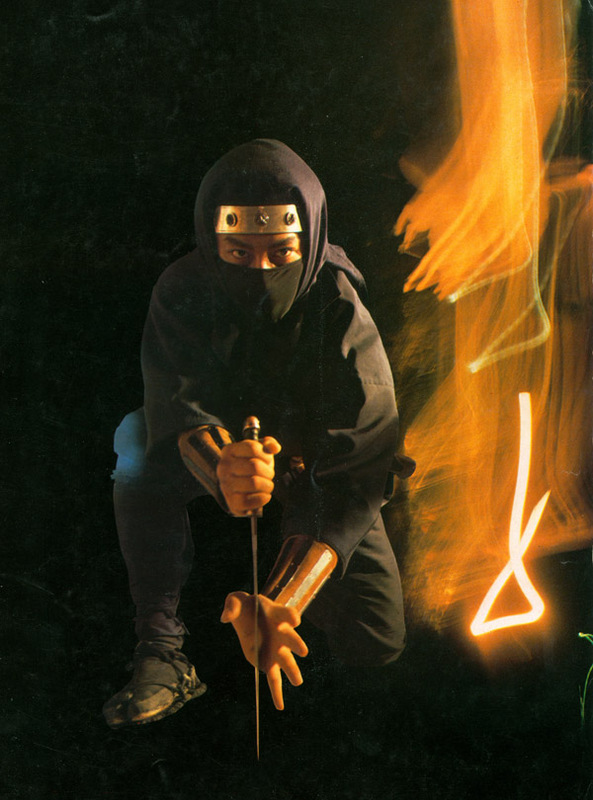 These could well be the very same props used in SHOGUN's NINJA. 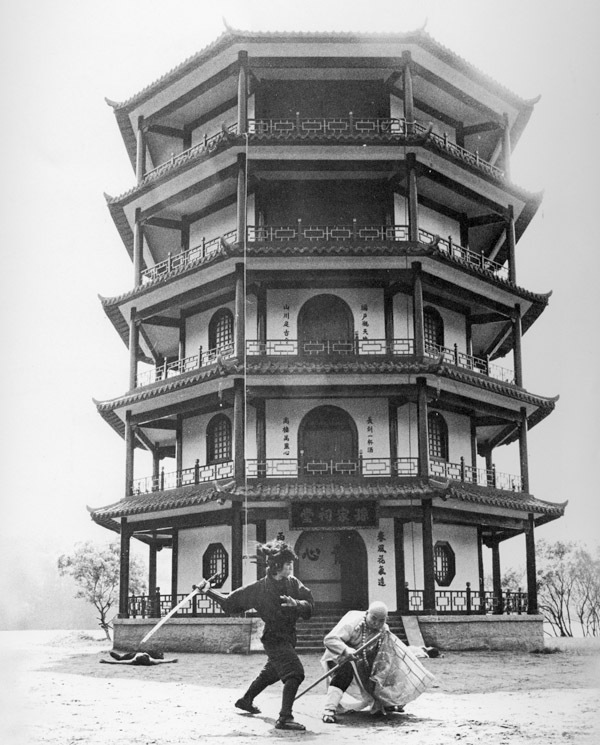 NitDD was an indie production (Seasonal Film Corp.) with inconsistent distribution over the years. Seems to be in public domain now, as it’s part of a lot of cheap multi-pack DVDs rather than getting a remastered/restored release. There are a few decent grey market releases, but the definitive print is frustratingly elusive. 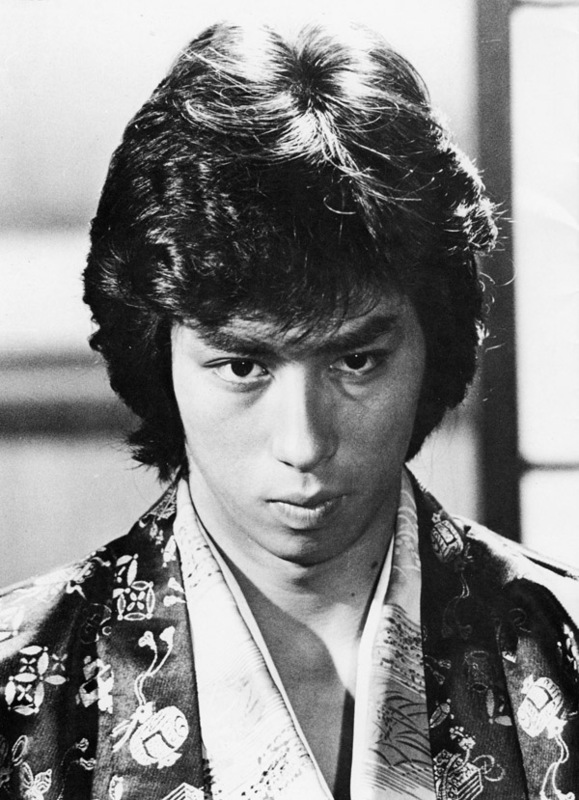 I have one that’s complete, original language with subs, and looks great, but is full frame. Another is is widescreen, but cut (the cut scenes are included as extras) with English dub only and a transfer that’s inky and soft. German and British R2 discs seem to combine the best of both, but never all of both, and the PAL conversions are always a bit wonky anyway. Where’s Criterion when you need them?